Zell am See is an Austrian Alps resort town between lake Zell and horseshoe-shaped mountain. That together with a variety of pistes, including varied, wooded slopes with fine views down to the lake, and a wide range of apres-piste activities resort attracts thousands of people for their perfect ski holidays every year. Noticeable that the resort specializes in mountain weddings for those seeking something special for their special day. We at Alps2Alps will be more than happy to provide you with the perfect transfer to start the perfect ski holidays at Zell am See. Zell am See is a lakeside town with a charming old center - breathtaking views are guaranteed thanks to the scenic lake, mountain backdrop and 19th-century architecture. There are 40 restaurants to choose from for every taste as well as lively nightlife. If you are seeking for more active holidays you can enjoy bowling, toboggan run, cinema, swimming, skating, night skiing, winter hiking and spa center for those seeking for an extra relaxation during their holidays. 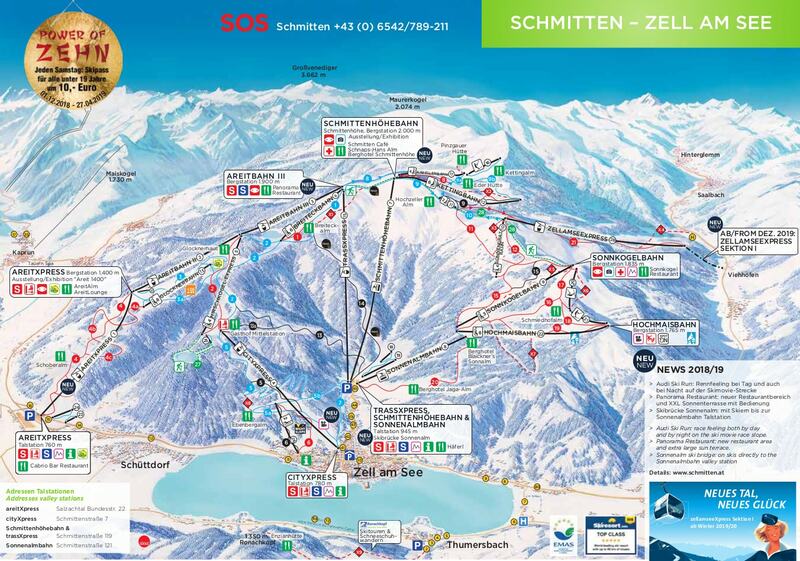 There is a direct train to Zell am See - the train station is directly in the town center and there are train connections from all the biggest cities. Choose your transfer to Zell am See in midweek (Monday-Friday) to get prices up to 60% lower than usual weekend prices! Also, if you book your transfer during the off-season and off-peak and save even more. The final transfer price to Zell am See will be affected by vehicle availability and vehicle utilization, schedule of transfers and other costs like road tolls and airport parking fees. In order to discuss any specific necessities of your trip to Zell am See or your plans to travel as a larger group, please get in touch with us directly. The resort is a part of the Europa Sport Region ski area therefore with the appropriate ski Lift Pass you will be able to access Kaprun and Kitzsteinhorn resorts, which gives you a total of 130km of pistes to enjoy. It is a top destination for snowboarders and popular amongst cross-country skiers, as there is a 10km track on frozen lake Zell. Zell am See offers various ski schools to choose from giving an excellent chance to improve skills for every family member. Some of the schools even take 3 and 4-year-olds to daycare while their parents are exploring most challenging pistes that the resort has to offer. There are discount deals for families and plenty of off-slope activity options. Zell am See is the best place to create unforgettable memories - we advise to book your transfer in advance as the resort is very popular among ski enthusiasts. Write us or call us at Alps2Alps and let us know your travel plans to Zell am See ski resort - we will be happy to provide you with the best transfer possible!